Castration is a commonly performed routine surgical procedure that is relatively quick and straightforward. 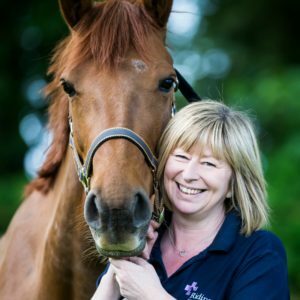 While most castrations go smoothly every case is individual and it is important owners are aware of the different options for their horse and the potentially serious complications. A colt can be castrated at any age. It is traditionally done in the spring of the yearling year, but in reality it can be performed earlier, as a foal, or later in life. 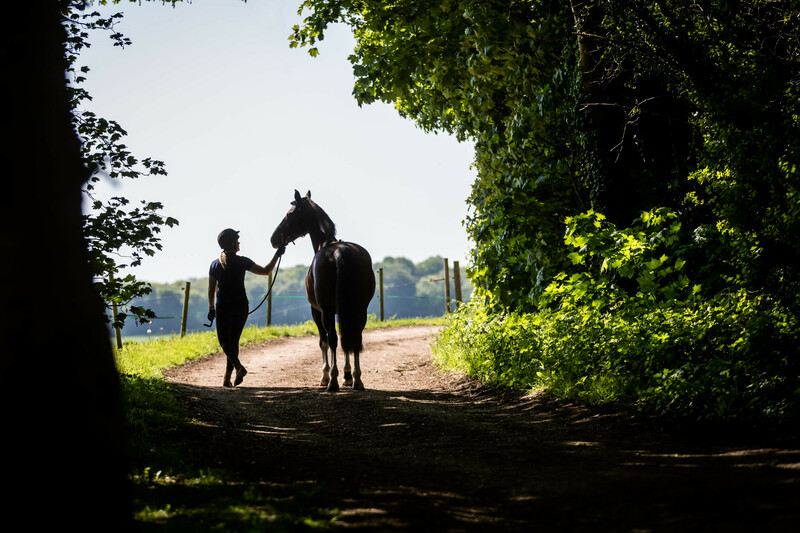 Colts can be castrated at any time of year; however they should ideally be castrated either in the spring or autumn, in order to avoid the flies of summer and the deep mud of winter, both of which can increase the risk of post-operative complications. Both testicles must have descended into the scrotum for a colt to be castrated. If only one is present (a ‘rig’), the owner is faced with two options: either give the colt more time in the hope that the missing testicle will eventually descend, although this does not always occur (if the testicle has not descended by one year of age, then it becomes increasingly unlikely that it will ever ‘drop’); or taking the rig to a hospital for castration. This may incur significantly more surgical intervention and cost, as the retained testicle can be anywhere from the inguinal ring (groin) to within the abdomen, which would necessitate either laparotomy or laparoscopy (i.e. surgical procedure to enter the abdomen) to remove it. In most cases the standing method is used to avoid the risks of a general anaesthetic. It is performed as an open castration, where you open the site, remove the testicles and leave the wound to drain. This is a clean but not sterile operation, it is as near sterile as possible, but it’s not in an aseptically prepared operating theatre. This procedure does demand that the horse has a reasonable temperament and has been handled correctly. We recommend castration under general anaesthetic in older animals (over three years), donkeys and certain draught breeds as they are at an increased risk of evisceration (prolapse of intestine through the surgical wound). It’s usually impossible to castrate a foal when standing, and small ponies and shetlands are difficult and potentially dangerous to castrate standing. Poorly handled or badly behaved horses will also be quicker and safer to castrate under general anaesthesia. There are two different techniques to castrate a colt under general anaesthesia. Either the ‘open’ technique, where the scrotum and vaginal tunic containing the testicle are incised and then left open for drainage; or the ‘closed’ technique where the tissue layers are sutured once the testicles are removed, in order to reduce the risk of herniation. The closed technique takes longer and requires the cleaner environment of an operating theatre, therefore incurring a higher cost; however it has a lower risk of associated complications (especially in older or very large stallions). But the risk of death under a general anaesthetic is currently estimated at about one in 100, for all types of surgery. For more information on preparing your horse for castration, what to expect and the aftercare, please get in touch. WOW! What an amazing weekend we are having! Hope you’re all out enjoying the sunshine! It’s time to dig out the fly spray – with so many choices.. Interested in a yard visit? © 2018 Vet Help Direct - All Rights reserved.